As a Calibration Technician and Equipment Engineer, do you know how to interpret a calibration certificate? How to use a calibration certificate during measurements and preventive maintenance? If you receive a newly delivered calibration certificate, what would you do? As a Calibration Technician and Equipment Engineer, what are the important parts of a calibration certificate that we need to fully understand? What are the requirements of a calibration certificate based on ISO 17025? Regarding SAFETY concern, how can you determine and understand if the instruments you are using are performing as expected? In this post, I will share with you the importance of a calibration certificate review, discuss its true purpose and how to use it properly. I will also explain and answer the questions that I listed above. Once you understand its features (I will call it features because of its application), you will appreciate the importance of a calibration certificate while performing measurements, preparing for an audit, or just simply evaluating the performance of your measuring instruments. I will also share the requirements of a calibration certificate based on ISO 17025 as applied to an accredited calibration laboratory that every Calibration Technician must know. What is an Accredited Calibration Certificate? I believe most of us if not all are aware of what a calibration certificate is. But I am not sure if all who uses a measuring instrument with a calibration certificate knows how to use one. A calibration certificate is a record of the results of calibration performed on a specific Instrument or measuring equipment. This also called a calibration report. It has all the elements that I listed below. It complies with the requirements of ISO 17025:2005 under clause 5.10, reporting the results ( clause 7.8 in the 2017 edition). And of course, it has the logo of the accreditation body. To ensure that the lab is accredited under ISO 17025, we should have a copy of their accreditation certificate and scope as evidence that they are accredited. This is to differentiate it to other non-accredited calibration records where there is no measurement uncertainty result and with limited information. These kinds of certificates are just a verification result/record. Mostly what I observe in some users (quality personnel, safety officer, or other technicians) is that they only use the calibration certificate as evidence that the measuring instruments that they are using are calibrated. Only a show part for the auditors telling ..“Hey Mr. Auditor, our Instruments are calibrated, we have here the calibration certificate, we have complied with your requirements”. And some technicians, they only use the calibration certificate to verify the date and due dates if the instruments are still within the said calibration date and nothing follows. Sometimes, calibration certificates are kept directly without reviewing them. We need to change this habit and start using the calibration certificate for its intended purpose. The name and the Address of the Calibration Laboratory. Unique identification number of the calibration certificate and the pages until the last page of the calibration certificate ( an example is a serial number; page 2 of 2). The name and contact details of the customer. Identification of the calibration method. A description of the condition and identification of item calibrated. The date of the receipt of the calibrated item and the date of the calibration. The date of issue of the calibration certificate or report. The names, functions, and signature of persons authorizing calibration report. A statement to the effect that the results relate only to the item calibrated. Any additions, deviation or exclusion made during calibration. Deviation from the calibration method, and information on specific calibration conditions such as environmental conditions (an example is a limited calibration). Where relevant, a statement of conformity with requirements and specification. The result of the estimated measurement uncertainty of the equipment (see below sample tables). Where appropriate and needed opinion and interpretations. evidence that the measurements are traceable to SI units of measurements. Additional information which may be required by a specific method, customers or groups of customers. The above list should be considered when creating a format for a calibration certificate, following the requirements above will ensure that all relevant details for a calibration certificate will be covered. Their location in the calibration certificate is not the same, some certificates are one paged only while others are 2 pages or more. It depends on the measuring instruments being calibrated. Furthermore, as per Clause 7.8.1.3, which states that “When agreed with the customer, the results may be reported in a simplified way”. 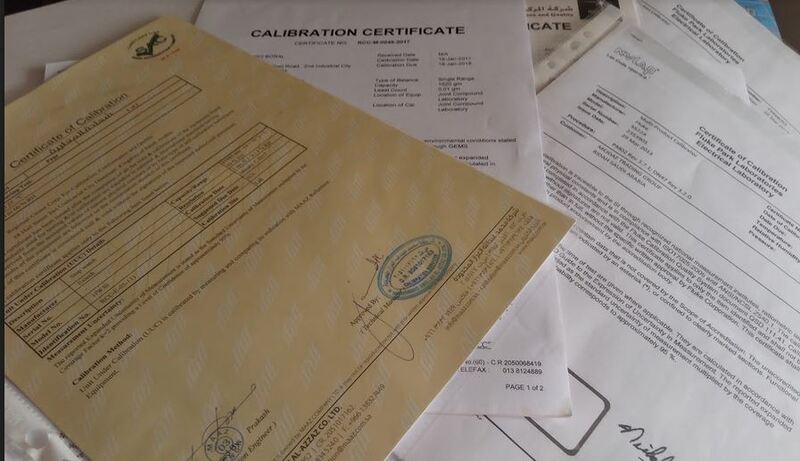 What To Do Once You Have Received a Calibration Certificate? Definitely, we review them. But what needs to review? We can use the above list as a checklist when reviewing a calibration certificate or verify the completeness of a calibration certificate. If you received a calibration certificate from a calibration laboratory, they should contain the above list or ensure that the above requirements are followed. More specifically when the calibration laboratory that we have outsourced is not accredited to ISO 17025. If you are under quality or handling calibration, one of your main concern is to check all the above requirements of a calibration certificate to verify if complete or properly labeled and spelled. One mistake for example, on a serial number, will invalidate the traceability of the instrument, traceability in a sense that the identification on the specific instrument is lost. In addition to most details, I want to emphasize the Number 12 in the list above which is the “Statement of compliance with requirements and specification”. This should be reviewed immediately to ensure that the instruments that are newly calibrated have passed the calibration and is safe or acceptable to be used. Below is a sample statement. There are some cases where an “Out of Tolerance” results will be encountered upon receipt by the external calibration lab. What to Inspect in a Calibration Certificate During Measurement and/or Preventive Maintenance? Many of the technicians engaged in measurements or preventive maintenance do not check or review the calibration certificate in terms of the result of calibrations. Most are assured that the calibrated instruments they use are accurate. This is what I usually hear, ”My caliper is accurate because this is newly calibrated!”. Yes, they are correct at some point, but not always…if this is how you think about calibration then you are missing something. Not all calibrated instruments are being adjusted during calibration. Once a newly calibrated Instruments are received with a calibration certificate, of course, one must know how to review and interpret the content of the calibration certificate. This is not just a job of quality personnel (calibration technician) but specifically, the one who directly use the instrument, the technician or simply the operator. Usually, the above contents can be seen on the second page of the calibration certificate, it is commonly called as calibration results (for the traceability details mostly it is on the first page). How to Use the Calibration Certificate during the Measurement Process and/or Preventive Maintenance? We need to determine and understand the calibration certificate on this part as an engineer or technician simply because it has a great effect on our measurement process. Most of the calibration results have this what we call a Correction Factor. Calibration Results of a digital thermometer showing the correction factor and uncertainty results to be used during a measurement process. Based on the figure above, as we observe, there is the column of a correction. When we are measuring temperature, for example at 0 setting using our newly calibrated thermometer, we notice that at zero points, it has a correction of + 0.035 (where the error is -0.035). Therefore, every time that we make a zero point measurement, our actual value should be added with a +0.035. The same thing with the other test points. We call this correction a correction factor, this is added or subtracted in the actual measurement that you have in order to compensate for the error. This is important if we are targeting a smaller error or implementing a strict tolerance. In this way, we will ensure that the results we obtain are the most accurate one. The most technician does not use this correction factor simply they do not review the certificate they received or does not know its purpose (luckily if they have a wider tolerance in which correction does not matter). They simply use the instruments and knowing that it is already perfect because it is calibrated. The correction factor is very important in Measuring Instruments or machines that can be adjusted physically or electronically. An example of this is during preventive maintenance, once we determine the correction factor, we can input this on the calibration part or program of the equipment and compensate or correct the errors. Sample Calibration results of a Multimeter Showing As Found and As Left data. If you observe the figure above, it has the ‘as found’ and ‘as left’ column. This is the “before and after” the instrument was calibrated. It has no correction but as long as the measurement value lies within the limit, your measurement is acceptable. The ”As Left” column will be different just in case an adjustment was done if ever the “As Found” value is outside the limit. As an engineer or quality personnel, one should check if ever the “as found” to be within the upper and lower limit. Just in case it is out of this limit, it means that your instrument is “out of tolerance” before it was calibrated. By being aware of this information, you can make a proper adjustment and perform corrective action and assessment to scope up regarding the affected units or parts where these instruments are used. One of the ways to determine that we have a traceable calibration is to check that the calibration results have a computed or estimated measurement uncertainty result. This will ensure traceability because during estimation or computation, the accredited laboratory’s BMC (Best Measurement Capability) is included which they also acquire from a higher laboratory standard. What is measurement uncertainty? Measurement uncertainty is a computed range of value, usually an estimate to quantify the doubt that exists in a certain measurement result of a specific instrument. This means that we are 95% sure that the measured value lies within the limits of 1.00204 to 1.01796 (+/-0.007960) mV. The smaller the uncertainty, the better the accuracy. With this result or statement, it is clear that uncertainty and error are NOT the same. Where to use this uncertainty results? In creating a specification in terms of determining the tolerance of a certain instrument, we can use the uncertainty results as a basis in addition to the Manufacturers specification. If we are also performing calibration and estimating the uncertainty of measurements (this is another topic), we will use the uncertainty results as part of our uncertainty budget, a type A source of uncertainty computation. We have determined what is a calibration certificate and its importance in our industry and in our measurement process. The need to review a calibration certificate and what are the necessary checkpoints which are based on ISO 17025 requirements are discussed. And finally, the important requirements to consider for technical personnel in the calibration certificate when measuring or performing an equipment preventive maintenance are also presented. In using a calibration certificate, one must also be familiar regarding the principles of calibration through training on calibration awareness. Thank you for visiting my site, please leave a comment, subscribe and share. Thank you for this very useful information, additional for ny knowledge. Your Welcome. I appreciate you liked and learned something from it. Your Welcome and thank you for taking time reading my post. appreciate that you learned from it. I will consider your suggestion about Calibration Management for ISO 9001. Thanks for your reply Edwin, i read the post about in-house calibration, but i would like to know about external calibration laboratory management. And you mentioned the temp & humidity limits to be maintain in in-house calibration. Am staying at sea areas so generally the temp and humidity is very high over here, like 32 deg and 75%rh in normal days. but at the same time as you said we have to consider the equipment specifications. so if the temp & humidity values at laboratory are within the limits of specifications on the equipment, can i carry out the calibration at 32 deg and 75%rh?? and i will mention these environmental conditions on the calibration certificate so if auditor ask me about that,Then, if i tell him the same reason like those are within the limits of operational conditions suggested by manufacturer, will the auditor agree for it or not?? please clear my doubt. because as an external vendor most of the instruments to be calibrated at on site… so it is very difficult to control the environmental conditions… hope u will understand my intention. Humidity and Temperature is not that big deal for an Electrical or pressure measurements because they have a wide acceptance operating range unless it is in a dimensional calibration where you are using a gauge block and change in temperature is very critical. I understand your intentions and I agree to what you have said. 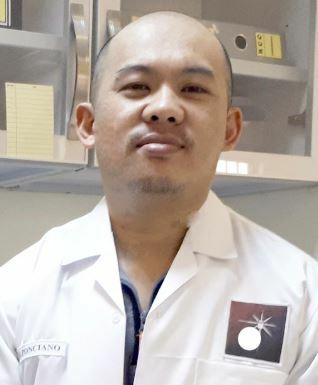 Your concern is how can you answer just in case the auditor will ask you regarding the environmental conditions outside the laboratory which is different inside the lab. The specified humidity and temperature is applicable only inside the lab because we can control it and it is required by an international standard. But during on-site calibration, we cannot control it so the best thing to do is to control or prepare some quality control procedure before performing field calibrations. The best question now is, how to we prove that we have an acceptable calibration even in a different environmental condition? In your first question, Yes, you can still carry out and record the calibrations in that environmental conditions, we are also doing that. Most of the instruments are best calibrated on the site or location where they are being used. The highest temperature I experience while performing a calibration is 46 Deg C.
When the auditor ask you, just prove to the auditor that your standard is capable to that environmental conditions by having it documented in your procedure basing it on its specs, I believe you have a procedure for internal calibration, then you may add this part. The most important things to consider like I said is to perform a quality control procedure, we call it an Intermediate Check or Functional check. Before you let your standard out of the Lab or office, perform a functional check,.Just perform a simple calibration check by measuring a certain value. Then when the standard will return back to the lab, perform again the same measurement. Record everything. This is to ensure that the standard or equipment used is still in tolerance even exposed to different temperatures and other factor like vibrations while performing on-site calibration. Based on my experience, this is the only thing you need, just prepare all these documents and all will be fine just in case an auditor will ask or investigate. And lastly, include in your report or record the site calibration performed is a request or approved by your customer. Thanks a lot edwin. You are a great teacher. You’re welcome, happy to help. I am glad you liked my article. What do you mean about uncertainty calculation, is it how to use the uncertainty result indicated in the calibration certificate to be used in uncertainty computation or how to calculate uncertainty of instruments to be displayed in a calibration Certificate? Do you have some background about uncertainty computation? for me to know how much I can help you about the subject. I have gone through the papers available in the net. If the certification show 2 points at 0 and 50 C, how could I figure out the correction factor at 32 C? Choose the one that is nearer to the value of your test point. In your example, 32 is nearer to 50, so use the correction factor for 50. I hope this helps.